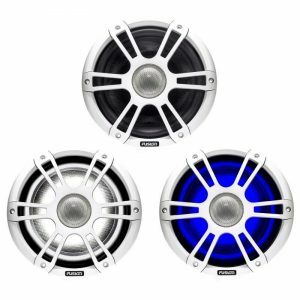 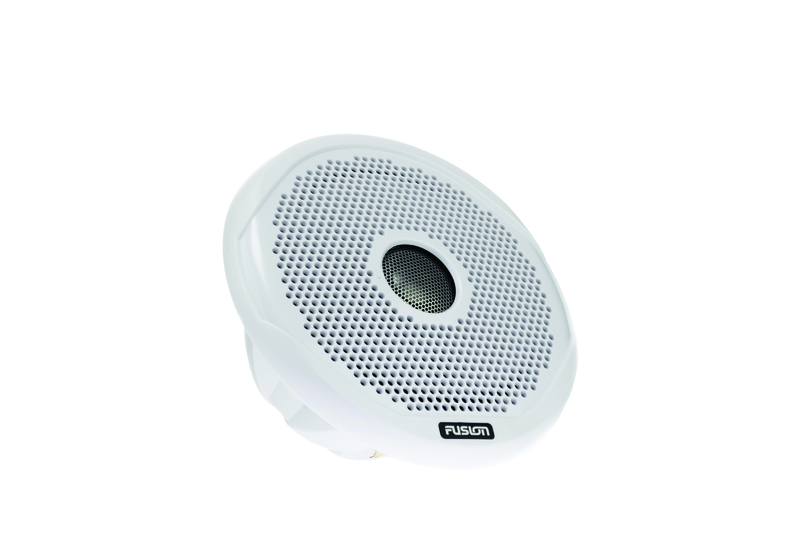 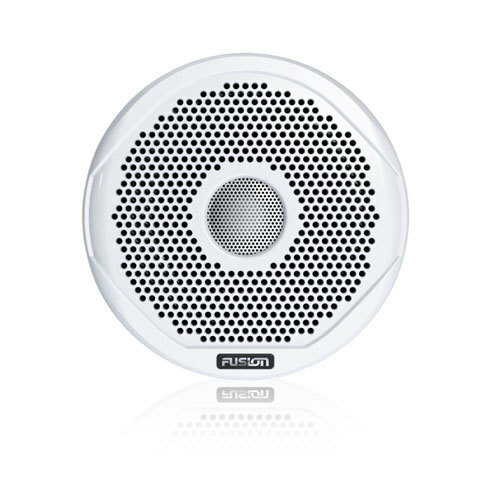 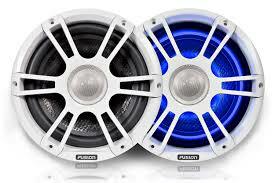 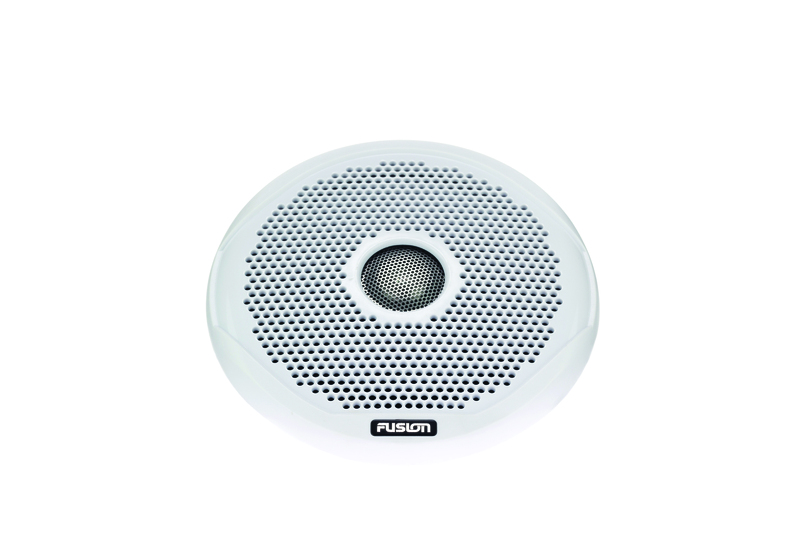 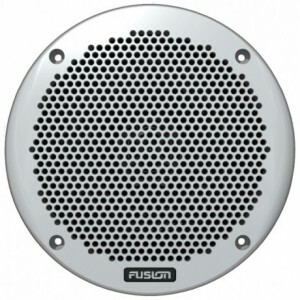 FUSION’s Full Range Marine Speakers are designed and engineered specifically for the marine environment. 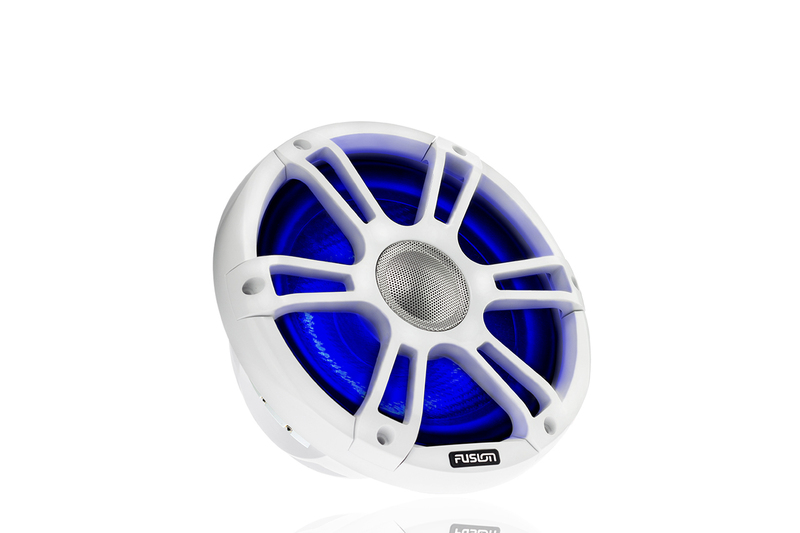 FUSION’s marine speakers include design innovations and materials that not only produce great sound, but also ensure a sustained high performance level during prolonged exposure to the marine elements. 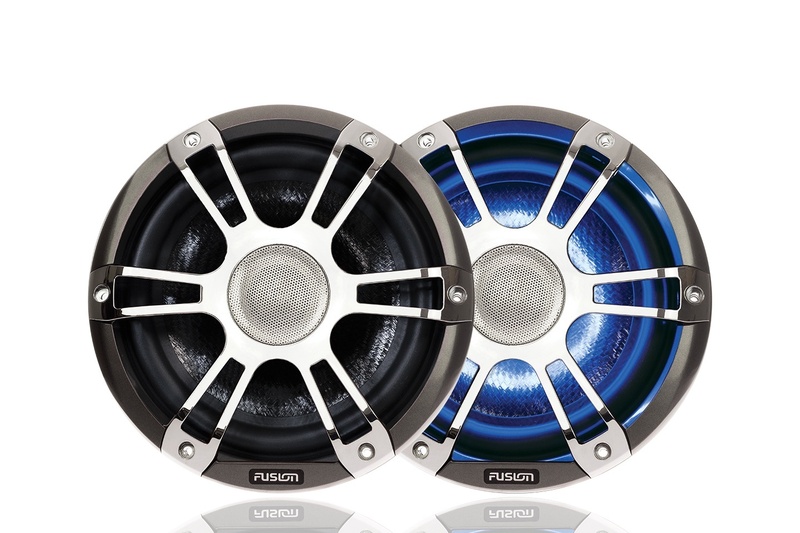 These 4” 2-way speakers have an impressive 120 Watts peak power. 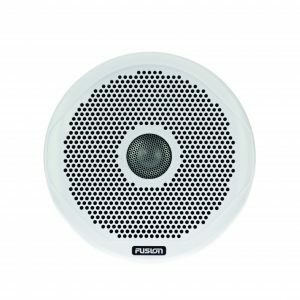 The Full Range speakers incorporate the latest German ‘CURV’ Cone Technology and a titanium tweeter dome for clear, powerful sound in the harsh marine environment. 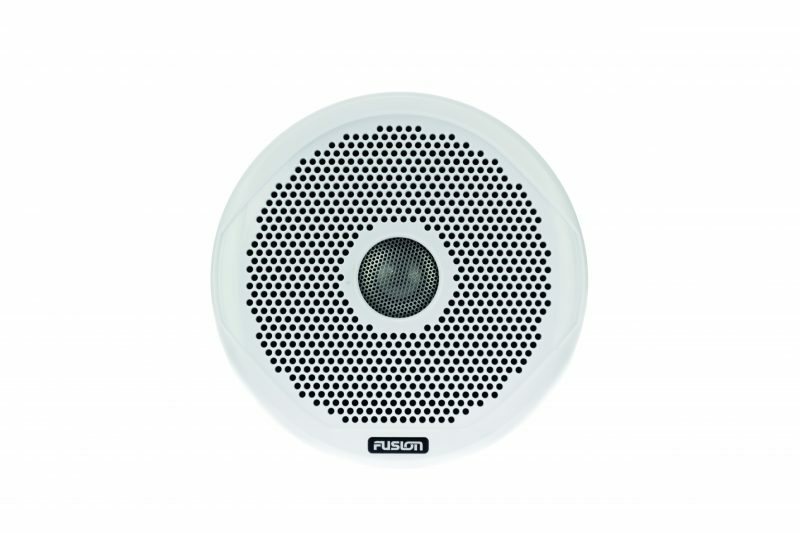 ‘CURV’ Cone Technology incorporates a woven fiber composite which is heat pressed to form a lighter and stronger cone, which creates greater sound definition, higher output and greater resistance to the marine environment. 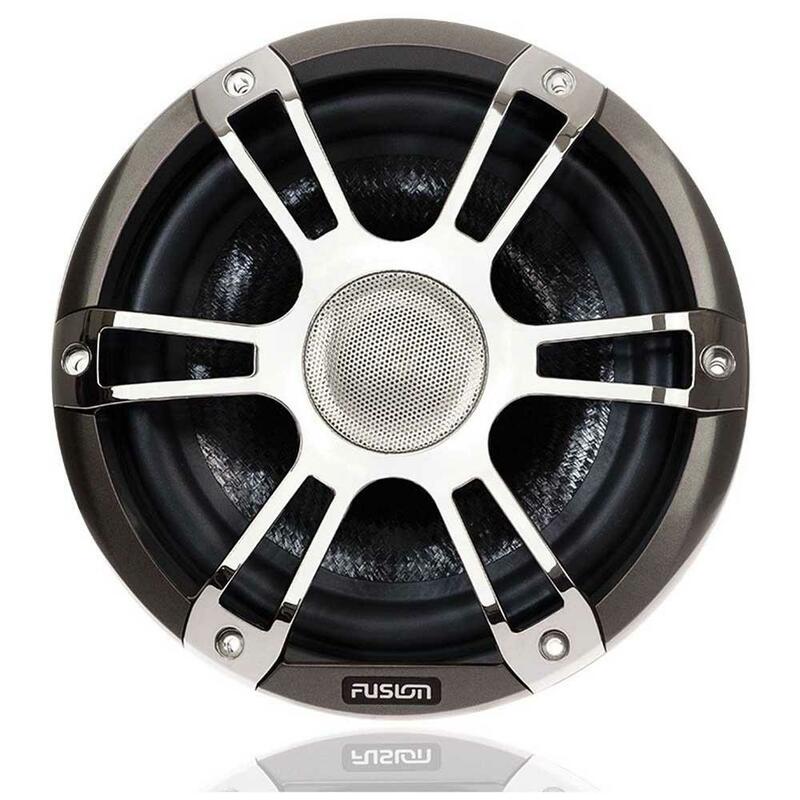 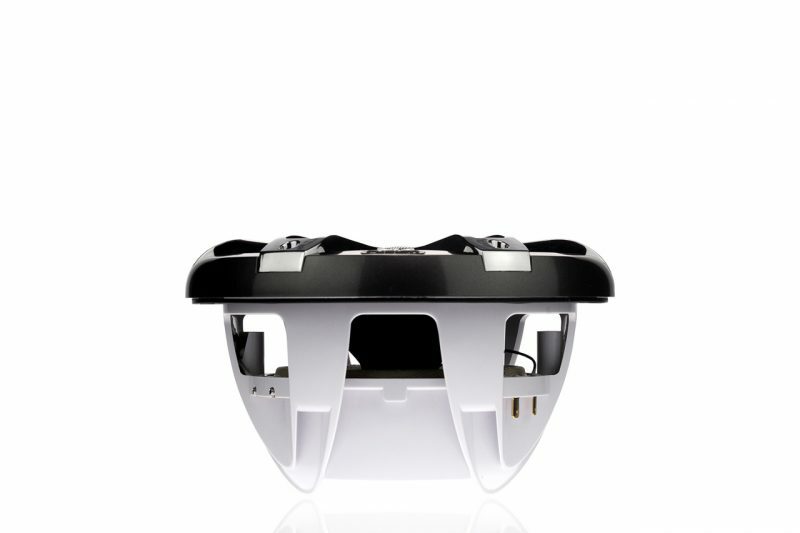 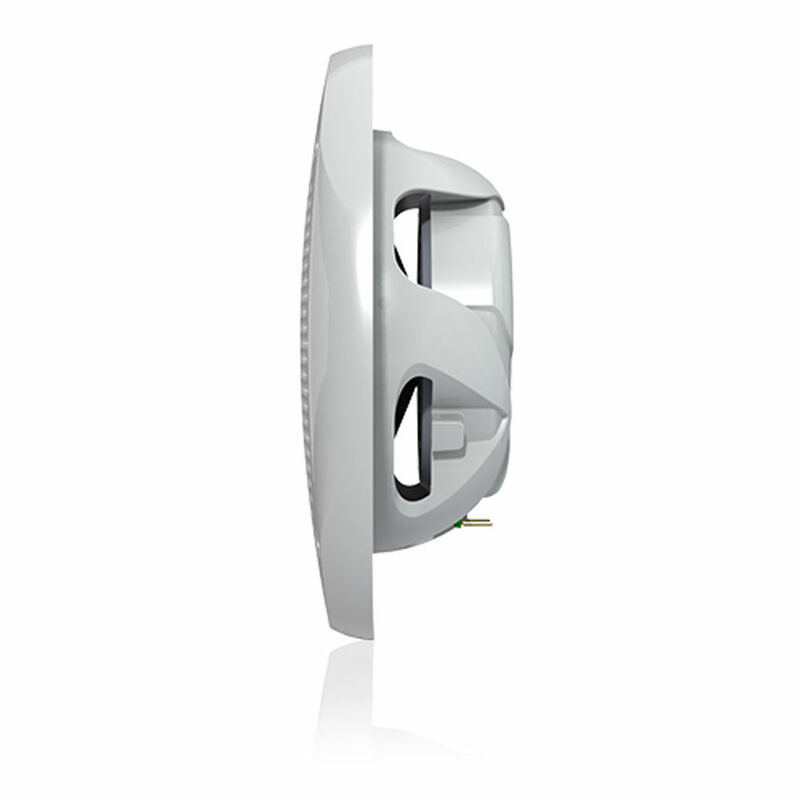 The FR speakers are also engineered to minimize magnetic interference to navigational equipment. 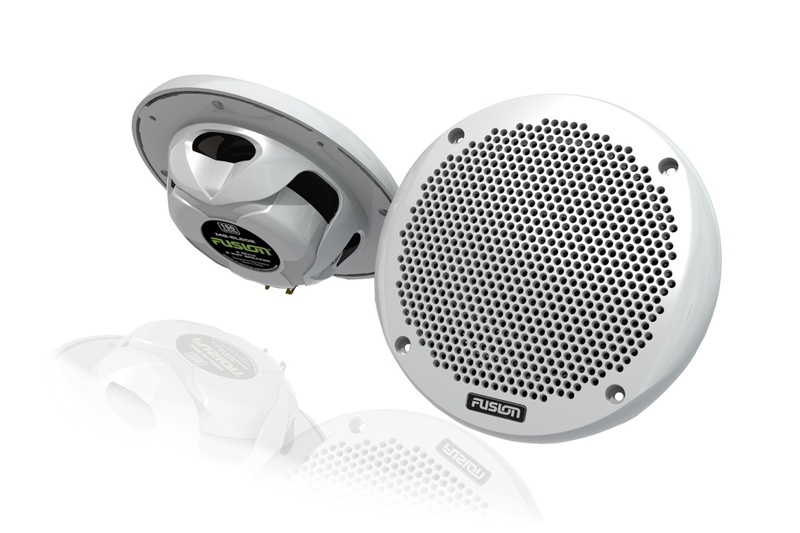 IP65 water resistant design – Rated IP65 water resistant and complies with international standards for UV stability and salt/fog resistance. 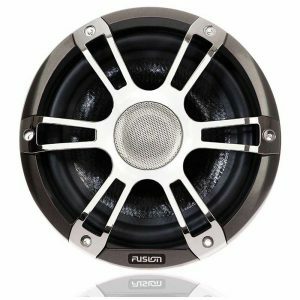 Features a fully sealed cross-over, magnet and tweeter housing with water resistant cone and surround.